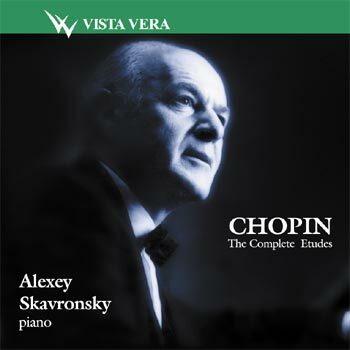 Alexei Skavronsky established his own amazingly clean style in performing Chopin. He is a true aristocrat of piano. He can certainly play fast but many of his tempos, by choce, are on the stately side. This permits him to contour the phrases,bring out inner voices, probe the implications of theharmony, and explore the significance of the "accompaniment" figures. Richard Dyer, The Boston Globe. This is the first recording of Chopin I knew that does not simply follows the tracks of previous recordings, but is based on impressively deep and original research into the meaning of the music itself. Copyright © 2003 "Vista Vera"